I found a summary that tells us a story of technology, the development of weapons, human hopes, and human fears. 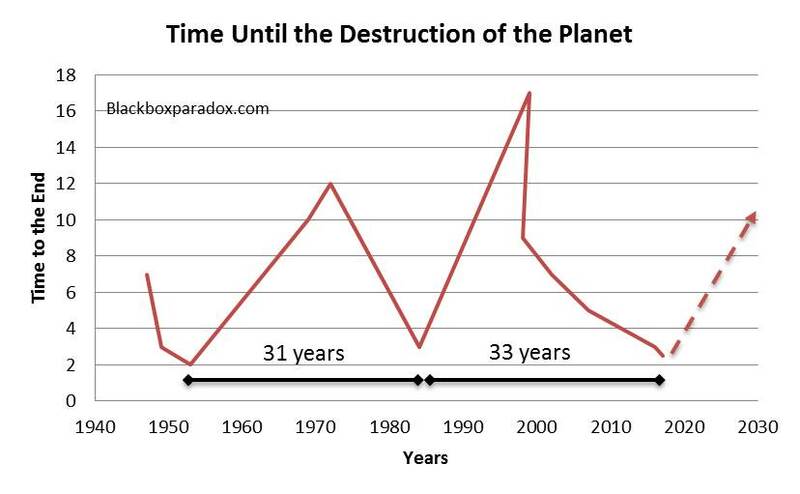 The “doomsday clock” records. 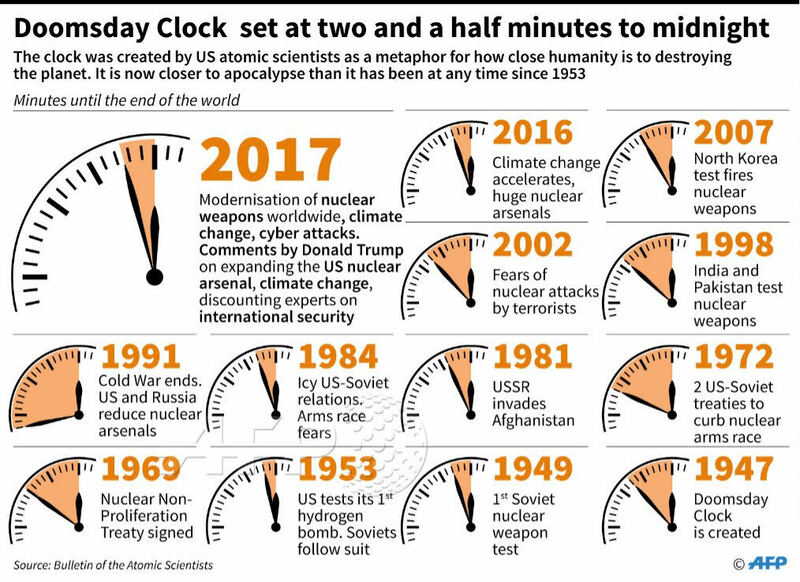 As you may see in the picture below, a group of US scientists working in the field of nuclear technology have created this “doomsday clock” after the invention of the atomic bomb to alert the world of how close we are to its end. Recently, the same folks have updated the clock to “2.5 minutes till the end,” which is the closest time to “midnight” since 1953, when two superpowers first tested their H-bombs. The message of this recent announcement is pretty gloomy and pessimistic and I decided to add my own interpretation to it− an optimistic view on this very subject. I want to add here that there is little science in my interpretation of this data. However, the data itself is not based on science either, but rather on a mix of facts, opinions, emotions, agendas, etc. So, I think I can be forgiven. The word “cycle” is the key in the proposed model above, and this is what the first section of this post doesn’t convey. But the model does hint at is the existence of those “fear and happiness cycles” that occur within a period of about 30-35 years. And, if this little unscientific theory based on just a few data points is correct, we are at the beginning of a new 15+ year cycle of peace, improving relationships, and prosperity till about 2032 or longer! I am willing to wait and see. This entry was posted in Analytics, data analytics, big data, big data analytics, data on the internet, data analytics meaning, Data Analysis and Visualization, Editorials, Past, present, and future, Research and tagged and future, doomsday clock, Past, present. Bookmark the permalink. I like your optimistic view and I follow suit in your theory !.